The sun is free, so why have the benefits of solar energy been inaccessible – until now? SUNEX is his peer-to-peer lending platform which connects people wanting to invest in solar energy with people who want to access it – a bit like the stock exchange, but with sunlight. The primary obstacles standing in the way of widespread adoption of solar power are the high startup costs associated with equipment and setup of installations and the difficulty accessing viable financing for these installations. SUNEX applies crowdfunding and low-cost digital currencies – such as Bitcoin – to finance them. At the core of the technology are smart meters (electronic devices that record consumption of electric energy and communicate that information for monitoring and billing) that write directly to a smart contract on the Ethereum block-chain. The result is a totally autonomous, secure and low cost revenue payment system. 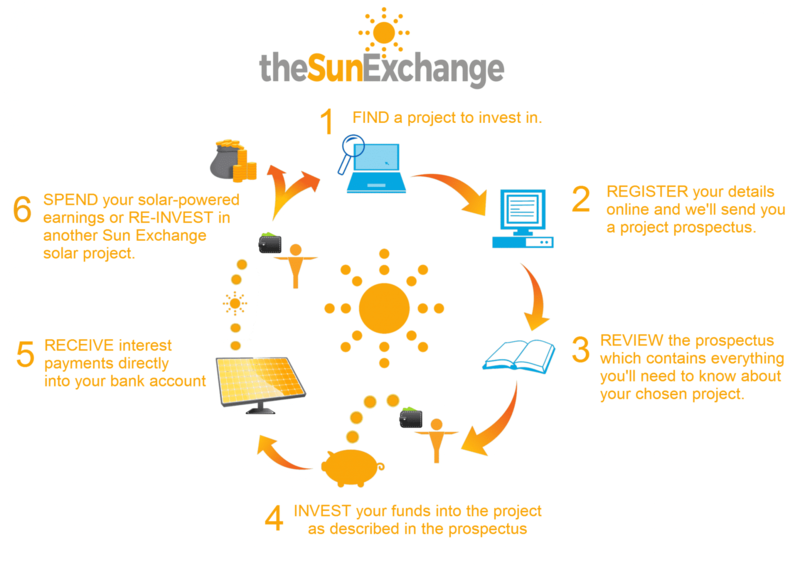 On the investor side, The Sun Exchange harvests money from the sun, offering returns to lenders. It really does create money from electricity. “Our mission is to enable individuals to finance the infrastructure they want to see in the world,” Cambridge tells us. “Consider this…. how many people do you know that are unhappy with fracking or concerned about nuclear energy? Those people have a right to be frustrated. These are centralised energy sources for which individuals have little or no say or control into whether they get deployed or not.” Solar energy, on the other hand, is totally scalable, democratic energy. “Start financing democratic energy with democratic money and then we have got total control on our future,” he adds. Tags: Clean energy, Community, Concentrated solar power, Crowdsourcing, Electricity, energy, Finance, Light, Renewable energy, Solar, Solar energy.